Is it Safe to Tackle Mold Removal Yourself? Can black mold make you sick? The answer isn’t clear-cut, but the evidence suggests so. How you deal with black mold will determine how sick you could become. Porters Cleaning>>Blog>>Is it Safe to Tackle Mold Removal Yourself? Can black mold make you sick, and what should you do if it does? One of the questions we get asked often is, can black mold make you sick? The answer isn’t straightforward. Some health professionals believe the concerns that black mold can cause health issues including immune deficiency and neurological damage are simply scaremongering. However, there is also plenty of evidence that black mold does affect your health, and several lawsuits have been won with large compensation paid to the affected plaintiffs. What health conditions might black mold cause? The health conditions that black mold might cause range from depression, through fertility problems, pneumonia, to cancer. Only with more research will black mold as a direct cause be confirmed, but the experience of a friend of mine who lives in Europe is confirmation enough for me. He moved into a rented apartment, and within weeks a burst pipe in the subfloor had led to a widespread infestation of black mold. He developed respiratory problems, and was having headaches and sleepless nights. He was constantly fatigued and was also suffering with a raking cough. Perhaps unsurprisingly, he started to feel depressed. After he moved (thankfully he didn’t leave it too long), his health began to recover immediately. He doesn’t need medical science to confirm the health conditions that black mold may cause. Who is most at risk of health issues caused by black mold? 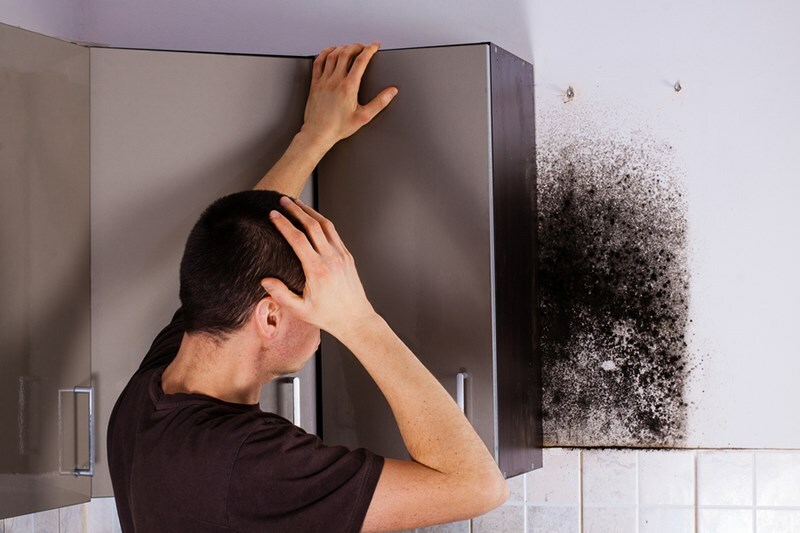 If you are exposed to black mold, the risks of experiencing health issues increase with the amount of exposure – either by length of exposure or the extent of black mold, or both. Additionally, if you suffer with an existing respiratory condition such as asthma, the potential for black mold to do more damage is increased. How do you know you have a black mold problem? It was found that my friend in Europe had moved into an apartment that already had a black mold problem, though it wasn’t visible at first. You see, black mold can lurk behind drywall. It can flourish under carpets, and below subfloors. Eventually it spreads. And when it does, it usually spreads very fast. After medical consultation, what next? If you don’t locate and eliminate the source of the black mold, your symptoms are likely to get worse. Any medication that the doctor has recommended will probably only delay the inevitable. The only way to eliminate the health issues for good is to eliminate the black mold for good. First you must locate it. All of it. Then you must clean it up, without disturbing it and causing the spores to spread further. Finally, you must tackle the source of the mold. This may be a cracked waterpipe, excess humidity in your home, or dust. You see, mold needs moisture, warmth, and food to live and grow. Don’t delay tackling black mold. It is a health hazard. Our recommendation is that if you think you have a black mold problem, call in the professionals immediately. If the problem is in NJ, contact Porter’s Cleaning. We’ll come and inspect and provide a quote for the cleanup process. We’ll discuss what techniques we’ll use, and we’ll tell you how to prevent the mold from returning.